Instead of retaining experienced legal counsel, some community associations contract with a collection agency to pursue delinquent assessments without an understanding of the major differences between the two approaches. One purported benefit offered by collection agencies is a “no upfront fees” approach where fees and costs are deferred and only added to the delinquent account instead of also being billed to the association. However, the association is required to hand over all control to the collection agency, allowing the agency the authority to move forward unilaterally with each step in the process. Also, payments are required to be forwarded to the agency instead of the Association or its managing agent, and it is often unclear exactly when the association can expect to receive payment. Usually, the association’s control is further compromised by a requirement to allow the agency to hire third party services such as attorneys, maintenance workers for foreclosed homes, or real estate agents to sell foreclosed homes. Who are these people, what are their qualifications, and what are the details of their relationship with the agency that may have led to a no-bid contract advantage for them (and possible liability for the association)? Most associations will not know the answers. Further, collection agencies will usually operate in several states, and they may not necessarily have an agreement customized to address each state’s statutory requirements. This leads to confusion and misunderstanding of what can be done legally under a particular state’s statutory framework when pursuing delinquent accounts. At The Meisner Law Group, we keep the client informed step by step as to what action we are taking and, in most instances, we request authority to proceed with every major step (lien, foreclosure, post judgment collections, payment plans). We would never seek to strip the power from the Board of these responsibilities (unless the Board desires same of course, which is rare and not recommended). Our firm advises the association of a foreclosure and its options with regard to collection of amounts due by a co-owner after loss of title. One major consideration is the amount due. Others include the age of the co-owner – are they elderly? (The only income may be social security which is not garnishable.) Was there a bankruptcy? No account should automatically go into collection without careful consideration of the facts surrounding the matter. We also review all ledgers back to a zero balance and will not proceed with collection if there is a question about validity. It is not only normal business practice but also a requirement under the Fair Debt Collection Practices Act to make sure that the amounts to be collected are valid prior to instituting collection efforts, but some collection agencies have been known to cut corners in this area by contractually placing the responsibility for the validity of the debt squarely on the association’s shoulders with no review of the matter for any potential problems—they just desire to blindly proceed without thought to the ramifications to the association. 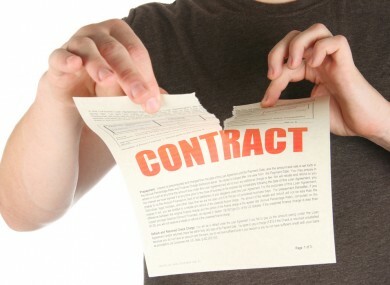 Some contracts may also include an unconscionable clause that indemnifies the collection agency regardless of who is at fault for a mistake. Finally, when we receive a payment, it generally goes directly to the association unless otherwise authorized, to be processed and applied to the account, so the association has all of the power with respect to the amounts collected. And we have observed that our fees are not only competitive but in many instances are actually less than what would be charged by a collection agency. Assessment collection requires a thoughtful, considered process where communication with the Board is key so that the Board can properly exercise its fiduciary duties in making decisions. Collection agencies’ business model, on the other hand, removes the power from the Board of Directors and is robotic in nature with no careful thought for strategy in regard to each collection case which increases the risk of mistakes, poor outcomes, and surprises, so be sure the Board is well informed of these issues before signing on the dotted line.